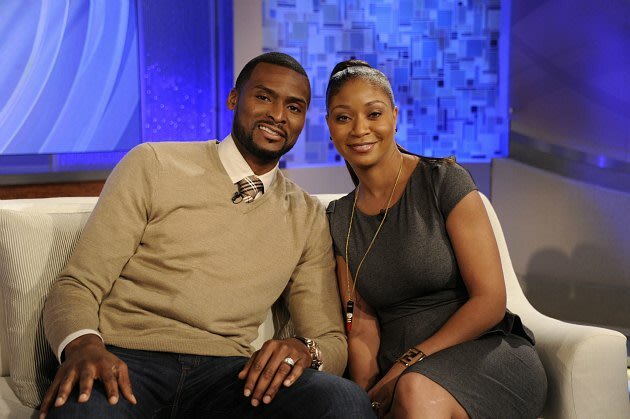 Keyon and Natosha Dooling on the set of "Katie" (Ida Mae Astute/ ABC via Getty Images). In late September, veteran Boston Celtics guard Keyon Dooling surprised the NBA world when he announced his retirement less than two months after signing a new contract. However, it turned out that Dooling had an excellent reason for his decision. After years of suppressing a history of sexual abuse, Dooling understood that he had to open up about his experiences, that he needed a change in his life, and that he had to spend more time with his family. It was a brave choice for a man who had earned the respect of teammates, opponents, coaches, and employers over the course of 12 seasons in the league. Dooling was exhibiting behaviors familiar to soldiers returning from war zones. But Post Traumatic Stress Disorders aren't limited to those who fight in wars. Police officers, firefighters, anyone subject to a severe emotional episode can suffer from PTSD. Dooling's problems came to a head in August. He was at home, playing in the street in front of his home with his kids. A neighbor thought he was playing too roughly with the kids and called the police. There is uncertainty about how many officers showed up -- 10? 12? 20? -- but it was more than one. The Doolings were new to the neighborhood. They know the police were just doing their job, responding to a call. But a bunch of cops showing up, unannounced, banging on your door is a little disconcerting. Dooling was taken away and hospitalized for evaluation. He didn't remember voluntarily signing into the hospital. The details are hazy, in part, because he was immediately put on medication. One of the primary symptoms of PTSD is paranoia, and Dooling was surely paranoid. He didn't want to see anybody -- or anybody to see him. After a week, Dooling was ready to leave the hospital. But he had a lot of work yet to do. He knew playing this season would make no sense, which led to the abrupt retirement. He had made strides spiritually. But he had to deal with the memories of the abuse. He had never told Natosha. Note: These videos feature very frank, adult (though not especially graphic) discussions of Dooling's history of sexual abuse. that police >> hospital story sounds shady as hell. I felt Katie came off as insensitive. Is this how she usually is? Or is it just my white ppl paranoia? I wanted to slap her when he was trying to describe his fam/community dynamic. I get frustrated like that with my therapist sometimes. Asking them about the prevalence of child molestation in the inner city. Bruh.. But i'm so happy for him. It's never too late to recover. Uh I'll watch it all later but when I was in about the second-third grade I was at summer camp, and you know how they have older kids over the younger kids. There was this boy who was about twelve and an older girl (she looked grown to me when I was that age but now I realize she was about seventeen) "She said, "Ooh boy your lips is so luscious" and she grabbed his head and kissed him full on the mouth. This was in the middle of the lunch room but there were only a few people there. I knew it was wrong because she was a counselor and she was supposed to be watching us but I never said anything. So yeah some thirsty older women will definitely take advantage of young boys. glad that he's speaking about it. sexual abuse is already a taboo subject. but especially so for males. he's using his platform to bring awareness to a problem-- and i have nothing but respect for him.